3.0 Mpix HDCE-30C digital camera eyepiece is compatible with any standard biological microscope, metallography microscope or stereomicroscope. HDCE-30C transfers digital image of the object to PC, capturing still photos of 2048 × 1536 pixels. 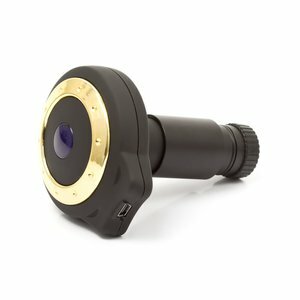 The digital camera eyepiece can be connected to projection machine, CD rewriter or laptop.